According to WHO, 850 million people worldwide are now estimated to have kidney diseases from various causes. Chronic kidney disease (CKD) causes at least 2.4 million deaths per year and is now the 6th fastest growing cause of death. 14 March is observed as World Kidney Day and is celebrated to raise awareness of the importance of our kidneys. Kidney disease is called a ‘silent disease’ as there are often few or no symptoms. In fact, you can lose up to 90 percent of your kidneys’ functionality before experiencing any symptoms. If detected early enough, the progress of kidney disease can be slowed and sometimes even prevented. In the early stages, changes to diet and medication can help to increase the life of your kidneys. 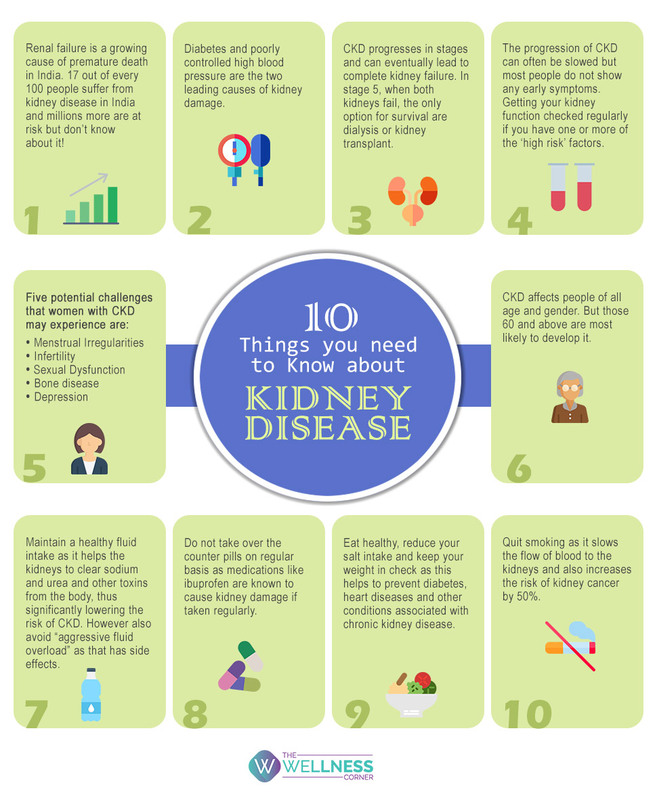 Here are 10 things you should know about kidney disease.